The festive season is no longer around the corner – it is right here on your doorstep, which means it is time to start thinking about holiday decorating in the home. Decorating your home for the holidays is a great way to get into the festive spirit and make things that little bit more special and memorable. While it is meant to be a fun and whimsical experience to transform your home, for many people it can end up being stressful, overwhelming, and downright frustrating as they try to create something beautiful. Not to worry, we’ve got you covered this holiday season. 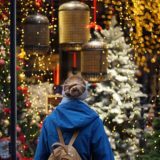 This guide to holiday decorating will take you through all the key steps and tips that are meant to make your life easier, and help your décor come together in a stress-free manner. Just as you would do if you were decorating a room or renovating, a great and logical place to start is with a Christmas colour palette. Christmas décor actually comes in a variety of colours and styles, so rather than creating a mishmash and ending up with something that doesn’t flow or work together, it’s wise to stick to one colour palette throughout. You may want to go the traditional route of red and green, perhaps you’re more the silver and white, or maybe it’s all about the gold and white touches. For those that are a bit more modern, then blue is probably what stands out. Another way you can narrow down your choice is to take a look at your furniture and existing colour palette in your home, as well as the style – meaning modern, contemporary, rustic, classic, etc. This can help you to figure out what colour palette would make the most sense in your space. Now you can choose a couple of statement areas in your home. These are areas you want to draw attention to and put that extra detail and work into. 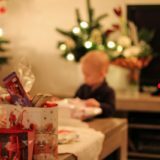 For many people, the logical answer is the Christmas tree, as this tends to be the standout piece in any home, but there are other areas as well that you can highlight. Christmas often features a lot of socialising with friends and family, which means you could be serving quite a few meals. With that in mind, why not let your dining table act as another statement piece or focal point? The blog “Getting Your Home Ready for the Festive Season” on the Fishpools website has some beautiful examples of luxurious dining tables that can be ideal all year-round and work especially well with your Christmas decor. The blog highlights the Soprano Cream Dining Table, which is not only elegant but can act as a blank space since it is neutral and will work with any colour palette or decor. It features a cream marble top that is nothing short of opulent, and then a chrome base with lovely curved legs. Fishpools points out how stunning red berry coloured decor would work with the table and really pop. Add in some silver and/or gold and you’ll have a real statement piece on your hands. Professional designers will tell you that one of the most important elements in any design, not just Christmas decorations, is that you need to repeat your theme in each room. This can act as a great guideline as you want to be sure that each room has that repetition. The statement areas like your tree and dining table certainly set the tone, but then you can then use little pieces of that theme and design in other areas of the room. Now, as you carry that theme through the home, remember that this isn’t one of those go big or go home moments. Decorations can also be small, understated, and intricate. If everything is big and bold, it’s going to end up looking too gaudy and even cheap. When you give thought to what pieces you use and where you use them, the design will have a more cohesive look. So, what are those little décor touches that you can use? Additions such as a decorative throws, festive pillows on your sofa, Christmas-scented candles, ribbons and bows, a festive wreath, a unique tree skirt, a glass bowl filled with lovely Christmas ornaments in your colour palette, and greenery are all great décor pieces. Each of these should be used to complement the standout pieces rather than act as the main décor. 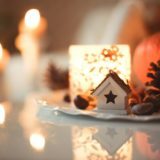 By using these tips and steps, you will be able to create a home that is beautiful and festive, and that will wow all your guests during the holiday season. Of course, the best part of all is that you achieved it without any stress!